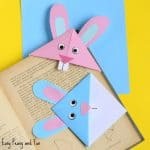 Why not use fun origami to encourage reading? 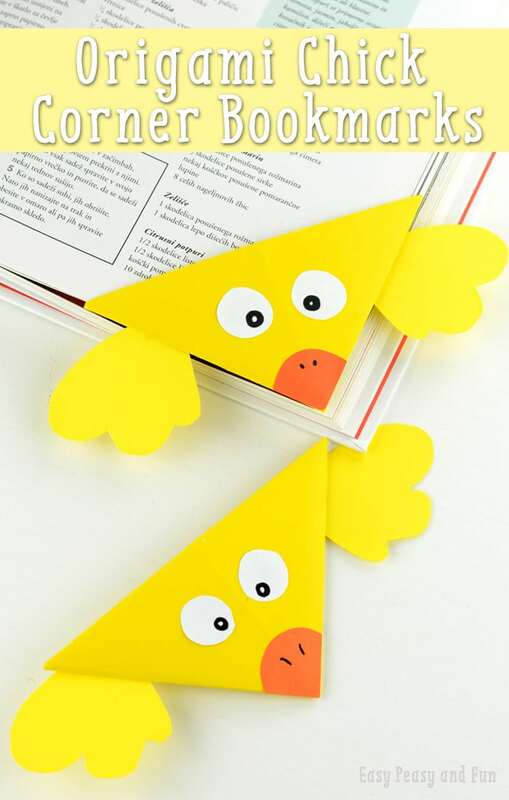 This cute chick corner bookmark is an easy origami for kids to make and they’ll love using it in their favorite books! Need an original idea for Easter egg hunt? Why not use these? 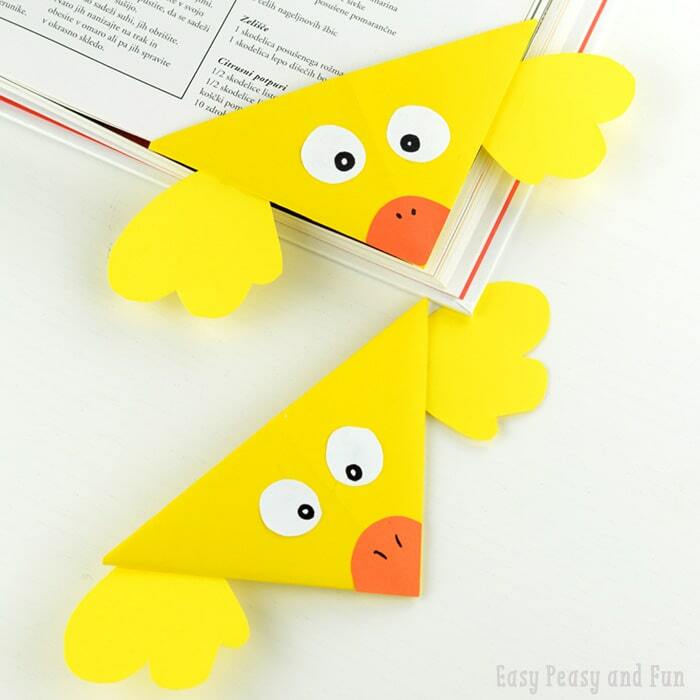 Start by folding the yellow origami paper diagonally both ways. 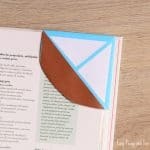 Fold into triangle (coloured side on the outside). Crease. 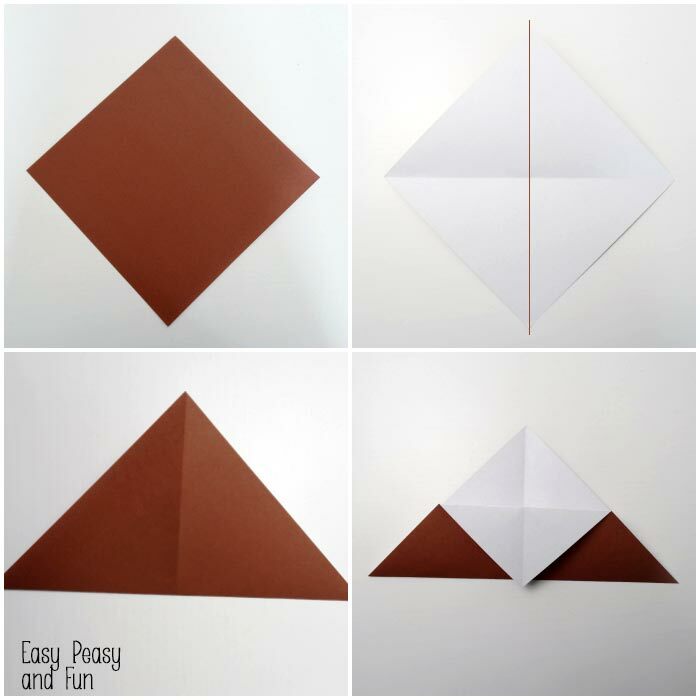 Fold the tip of the triangle to the bottom (one side only). 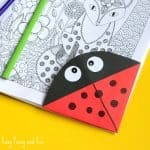 Fold the left corner of the triangle to the middle. Do the same with the right one. Crease and unfold. 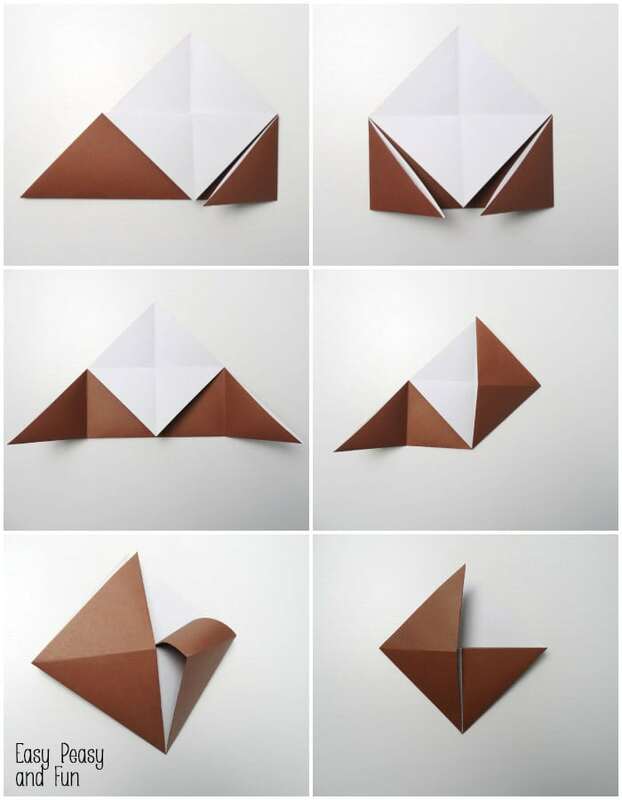 Fold the right corner to the top, do the same with the left one. Crease. Tuck both “flaps” in the pocket. 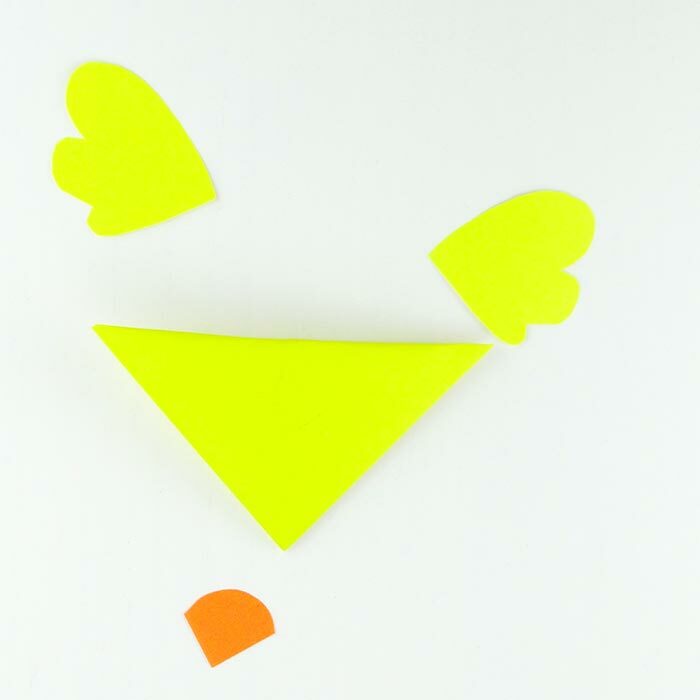 Cut two wings from the yellow paper, beak from orange, two white circles for eyes(draw a black dot in each) and pop them all on the chick. 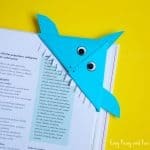 These adorable corner bookmark monsters are by far my favorite and there are so many ways you can decorate the. 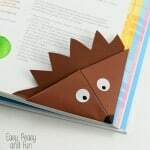 Another fun one to make is certainly this hedgehog corner bookmark. 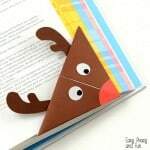 Great ideas to get kids to read as well! I’m going to try them!